The Treaty on the Protection of Artistic and Scientific Institutions and Historic Monuments or Roerich Pact is an inter-American treaty. The most important idea of the Roerich Pact is the legal recognition that the defense of cultural objects is more important than the use or destruction of that culture for military purposes, and the protection of culture always has precedence over any military necessity. 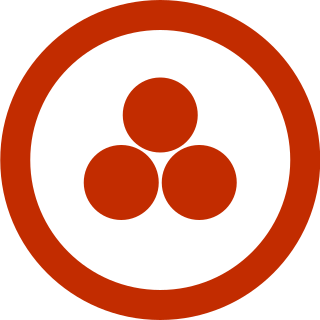 The banner of peace is a symbol of the Roerich Pact. This pact is the first international treaty dedicated to the protection of artistic and scientific institutions and historical monuments. It was signed on April 15, 1935. The banner of peace was proposed by Nicholas Roerich for an international pact for the protection of culture values. The Universal Day of Culture was proposed by the author of the Roerich Pact - the Russian artist Nicholas Roerich. In several articles and letters, written in 1931-1935, he spoke about the Universal Day of Culture. In his "Greetings to the Bruges conference in 1931" Roerich defined the Universal Day of Culture as a day which "shall be consecrated to the full appreciation of all national and universal treasures of culture". According to Roerich, the celebrations had to take place in all schools and educational institutions. In 1933, in his "Prayer for Peace and Culture" Roerich includes also the churches into this list and specifies that on this day "the world will be reminded of the true treasures of humanity, of creative heroic enthusiasm, of improvement and enhancement of life." On April 15, 1935, when the Roerich Pact was signed in Washington, Roerich mentioned this date as "memorable day" and "significant date",  which later led to consideration of April 15 as the Universal Day of Culture. 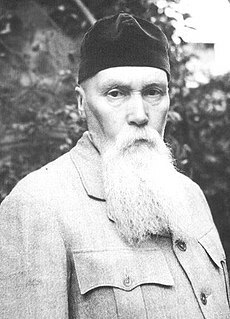 Nicholas Roerich – known also as Nikolai Konstantinovich Rerikh – was a Russian painter, writer, archaeologist, theosophist, philosopher, and public figure, who in his youth was influenced by a movement in Russian society around the spiritual. He was interested in hypnosis and other spiritual practices and his paintings are said to have hypnotic expression. Cuba, officially the Republic of Cuba, is a country comprising the island of Cuba as well as Isla de la Juventud and several minor archipelagos. Cuba is located in the northern Caribbean where the Caribbean Sea, Gulf of Mexico and Atlantic Ocean meet. It is east of the Yucatán Peninsula (Mexico), south of both the U.S. state of Florida and the Bahamas, west of Haiti and north of both Jamaica and the Cayman Islands. Havana is the largest city and capital; other major cities include Santiago de Cuba and Camagüey. 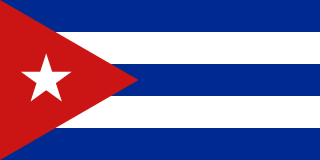 The area of the Republic of Cuba is 110,860 square kilometres (42,800 sq mi). The island of Cuba is the largest island in Cuba and in the Caribbean, with an area of 105,006 square kilometres (40,543 sq mi), and the second-most populous after Hispaniola, with over 11 million inhabitants. Dubingiai is a town in Molėtai district in Lithuania. It is situated near Lake Asveja, the longest lake in the country. The town has 208 inhabitants as of 2017. Rietavas is a city in Lithuania on the Jūra River. According to the 2001 census it had a population of 3,979. It is the capital of Rietavas municipality. Ylakiai is a small town in Klaipėda County, in northwestern Lithuania. According to the census of 2011, the town has a population of 950 people. 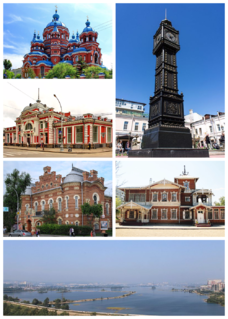 Irkutsk is the administrative center of Irkutsk Oblast, Russia, and one of the largest cities in Siberia. Berezniki is a city in Perm Krai, Russia, located on the banks of the Kama River, in the Ural Mountains. Population: 156,466 (2010 Census); 173,077 (2002 Census); 201,213 (1989 Census). April 15 is also the birthday of Leonardo da Vinci. The flag of Lithuania consists of a horizontal tricolor of yellow, green, and red. It was adopted on 25 April 1918 during Lithuania's first period of independence from 1918 to 1940, which ceased with the occupation first by Soviet Russia and Lithuania's annexation into the Soviet Union, and then by Nazi Germany (1941–1944). During the post-World War II Soviet occupation, from 1945 until 1989, the Soviet Lithuanian flag consisted first of a generic red Soviet flag with the name of the republic, then changed to the red flag with white and green bars at the bottom. Irena Degutienė is a Lithuanian politician and member of the conservative Homeland Union, currently Deputy Speaker of Seimas. She was twice the acting Prime Minister of Lithuania, first from 4 May 1999 to 18 May 1999 and then from 27 October 1999 to 3 November 1999. She has also been the Minister for Social Security and Labour from 1996 to 2000. In 1978, she graduated from Vilnius University with a degree in medicine. For almost twenty years, she worked in Vilnius Red Cross Hospital before becoming a secretary in the Ministry of Health in 1994. In 1996, she was elected to Seimas and re-elected in 2000. The Baltic Entente was based on Treaty of Good-Understanding and Co-operation signed between Lithuania, Latvia, and Estonia on September 12, 1934 in Geneva. The main objective of the agreement was joint action in foreign policy. It also included commitments to support one another politically and to give diplomatic support in international communication. The endeavour was ultimately unsuccessful, as the combined strength of the three nations and their statements of neutrality were insubstantial in the face of the massive armies of Nazi Germany and the Soviet Union. 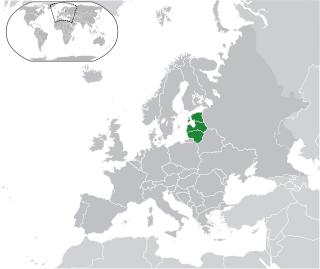 State continuity of the Baltic states describes the continuity of the Baltic states as legal entities under international law while under Soviet rule and German occupation from 1940 to 1991. The prevailing opinion accepts the Baltic thesis of illegal occupation and the actions of the USSR are regarded as contrary to international law in general and to the bilateral treaties between the USSR and the Baltic states in particular. There have been several designs for a peace flag. Soviet–Lithuanian Non-Aggression Pact was a non-aggression pact, signed between the Soviet Union and Lithuania on September 28, 1926. The pact confirmed all basic provisions of the Soviet–Lithuanian Peace Treaty of 1920. The Soviet Union continued to recognize Vilnius and Vilnius Region to Lithuania, despite the fact that the territories were under Polish control since the Żeligowski's Mutiny in 1920. It also recognized Lithuania's interests in the Klaipėda Region. In exchange Lithuania agreed not to join any alliances directed against the Soviet Union, which meant international isolation at the time when Soviet Union was not a member of the League of Nations. Ratifications were exchanged in Kaunas on November 9, 1926, and the pact became effective on the same day. The pact was registered in League of Nations Treaty Series on March 4, 1927. The term People's Parliaments or People's Assemblies was used in 1940 for puppet legislatures put together after show elections in Estonia, Latvia, and Lithuania to legitimize the occupation by the Soviet Union. 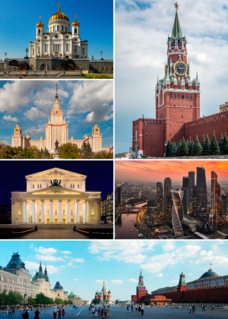 In all three countries, the elections to the parliaments followed the same scenario, dictated by functionaries in Moscow and borrowed from incorporation of Belarusian and Ukrainian lands in the aftermath of the invasion of Poland in 1939. Agni Yoga or the Living Ethics, or the Teaching of Life is a one of the neo-theosophical religious doctrine transmitted by the Helena Roerich and Nicholas Roerich from 1920. The term Agni Yoga means "Mergence with Divine Fire" or "Path to Mergence with Divine Fire". This term was introduced by the Roerichs. The followers of Agni Yoga believe that the teaching was given to the Roerich family and their associates by Master Morya, the guru of Roerichs and Helena Blavatsky, one of the founders of the modern theosophical movement and the Theosophical Society. The background of the occupation of the Baltic states covers the period before the first Soviet occupation on 14 June 1940, stretching from independence in 1918 to the Soviet ultimatums in 1939–1940. The Baltic states gained their independence during and after the Russian revolutions of 1917; Lenin's government allowed them to secede. They managed to sign non-aggression treaties in the 1920s and 1930s. Despite the treaties, the Baltic states were forcibly incorporated into the Soviet Union in 1940 in the aftermath of the German–Soviet pact of 1939. Roerichism is a spiritual, cultural and social movement that emerged in the United States in the first half of the twentieth century. Alberta Interscience Association is Canadian nonprofit organization based in Edmonton, Alberta. It was founded in 2009. Alberta Interscience Association runs different programs for adults, youth, and children. ↑ Peace Flag raised in front of the Ministry of National Defence. 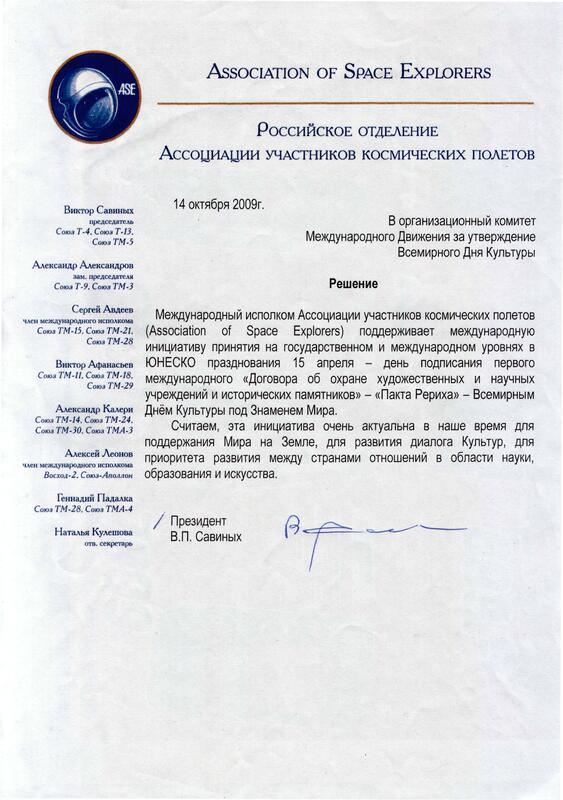 News of the Ministry of Defence of the Republic of Lithuania. April 14, 2009. ↑ N. Roerich. Prayer for Peace and Culture. Indian Magazine, September 1933. ↑ N. Roerich. The Banner. Meditation Monthly International, December 2010/January 2011 Vol. XXVIII No. 2. ↑ Summary prepared by the Office of the High Commissioner for Human Rights in accordance with paragraph 5 of the annex to Human Rights Council resolution 16/21. United Nations General Assembly, 11 January 2013. 1 2 3 Participants of the International Movement for the affirmation of the Universal Day of Culture under the Banner of Peace. 1 2 Tomas Petryla. LEU veikia fotografijų paroda „Pasaulio kultūros dienos ištakos ir dabartis“. BNS Spaudos centras. 2014-11-18. ↑ Resolution on the Baltic states' Culture Day. November 24, 2007. ↑ The Day of Culture celebration. Lithuania. ↑ Letter from the Chair of the Association of Space Explorers V. Savinikh in support of the Universal Day of Culture. October 14, 2009. ↑ Отбелязване на Световния ден на културата в гр. Едмънтън, Канада (Celebration of the Universal Day of Culture in Edmonton, Canada) Palitra, IV-2012/I-2013 (48-49). ISSN 1314-5002. The International Movement for the affirmation of April 15 as Universal Day of Culture - official site. Brazilian Roerich Institute - official site. Alberta Banner of Peace Association - official page.